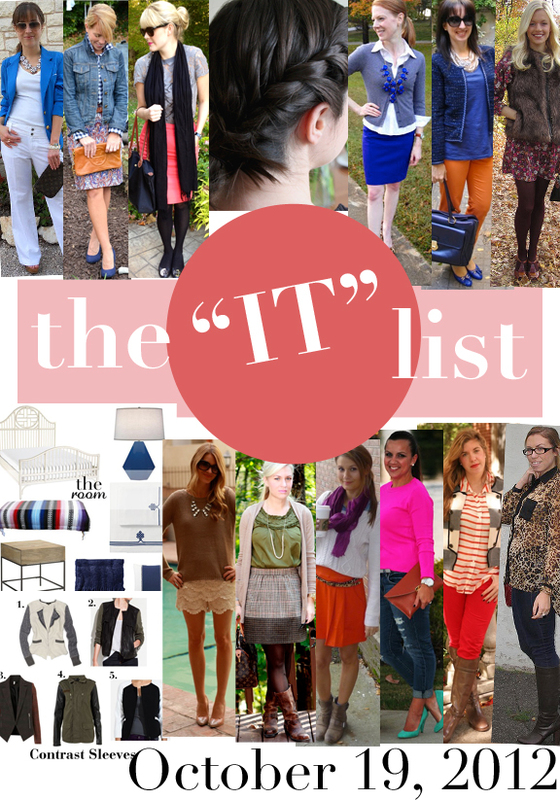 Hey Love: The IT List!! This encompasses all of my favorite trends right now, well done! So many of these things make me happy...cobalt, lacey shorts...love it! Cute pics! Love the braid especially! Loving these outfits. Great finds! Love all of these outfits, but my fave is the red pants and red striped top!